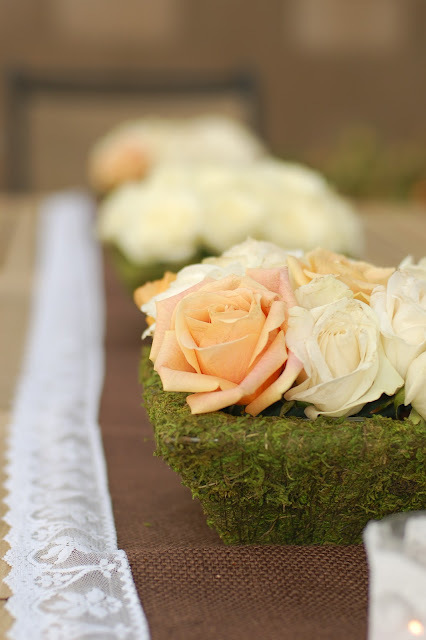 Do you have a rose flower arrangement you'd like to make for a party, but the roses you bought are still closed tightly? Full roses take up so much more space that you'll need far fewer flowers. 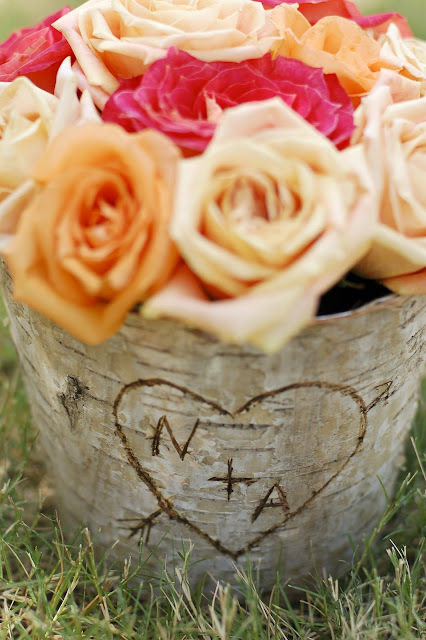 And fewer flowers means substantially less expensive floral arrangements, always a good thing for a budget bride. Tightly closed, newly bought roses. 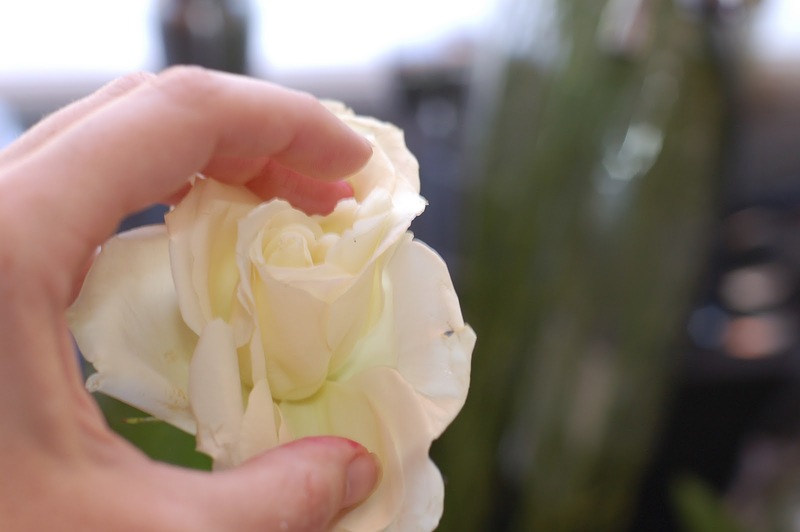 One quick and dirty, highly effective way to get roses to open up is simply to use your hands. Physically open them up. Get in there. Use your hands. Physically force the flower open. It can take it, I promise. Flowers live outside, in the wind and rain. They're not as delicate as you might imagine. 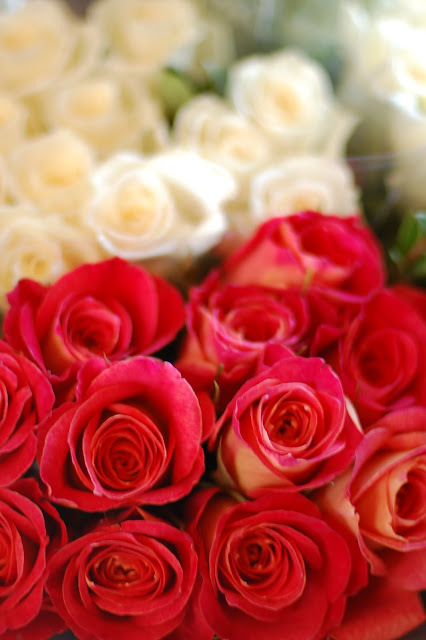 Once you've opened up your roses, you'll be ready to create your flower arrangements, using about half of the flowers you otherwise would have needed!